Thanks to MODE Advertising I got the opportunity to work with Bauer Hockey. Mode is a talented design/interactive shop based in Charlotte, NC. 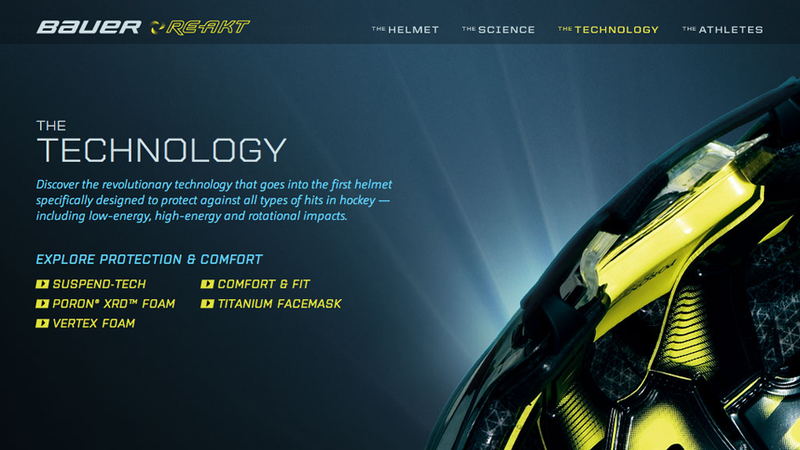 Below are still frames from the completed site for the new Bauer RE-AKT launch. MODE contacted me to help produce and edit 10 vignettes surrounding the new technologies included in the RE-AKT’s revolutionary helmet design. 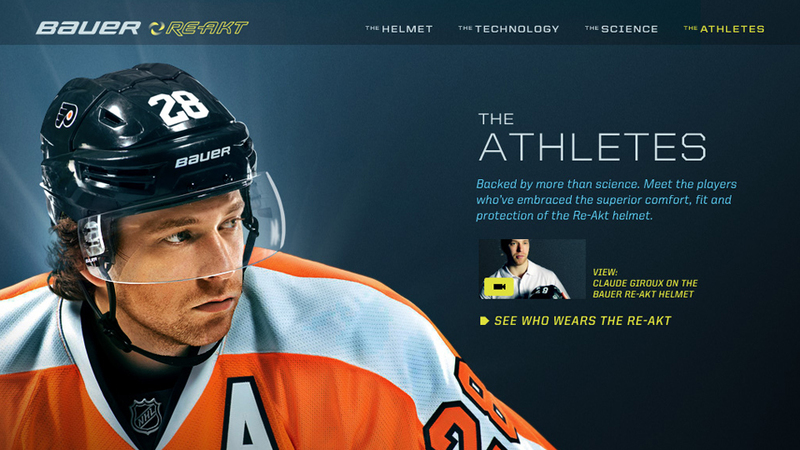 The RE-AKT is the first of its kind and is part of an effort to reduce concussions in the sport of hockey. This job was purely editorial after some shifts in the schedule. All footage was shoot by Bauer’s production outfit on 5Dmk2 and transferred to Apple pro-res and colored in Resolve. 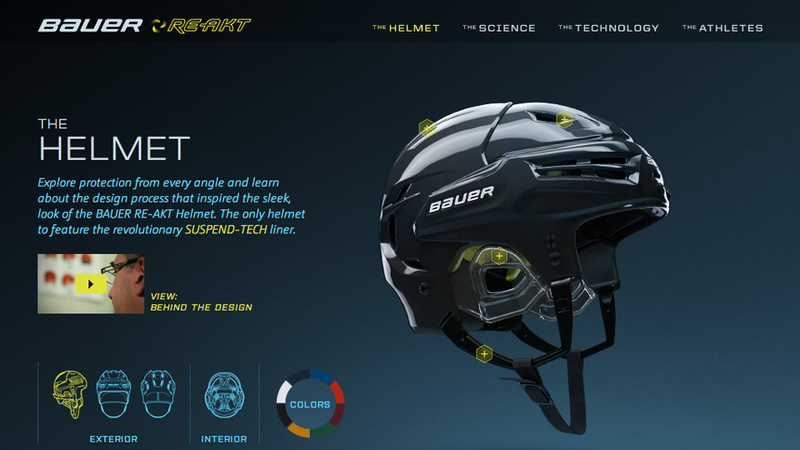 I edited a total of ten vignettes that profile the technology and inner working of Bauer’s revolutionary new helmet design. Working with MODE’s design team was awesome and I was happy to be apart of the campaign to launch Bauer’s new helmet the RE-AKT. Below is “Behind the Design”, one of the vignettes created for the launch.